It's very clearly used, could use a good cleaning and repainting, but it works perfectly! Now the problem I'm having is to interface this with a computer. 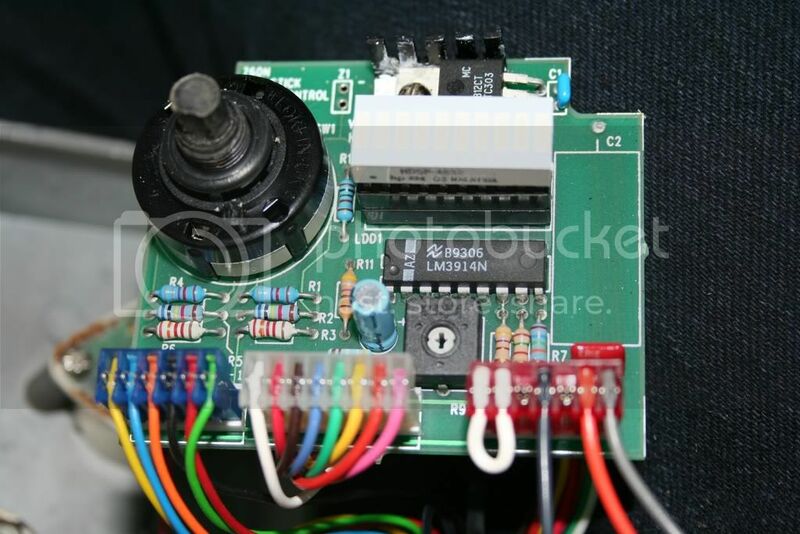 The little joystick box connects to the motor controller through a DB15 plug... But I have no idea what's the pinout. All the components of the wheelchair were manufactured by some company called "Fortress Scientific"... But a Google search reveals nothing about them. 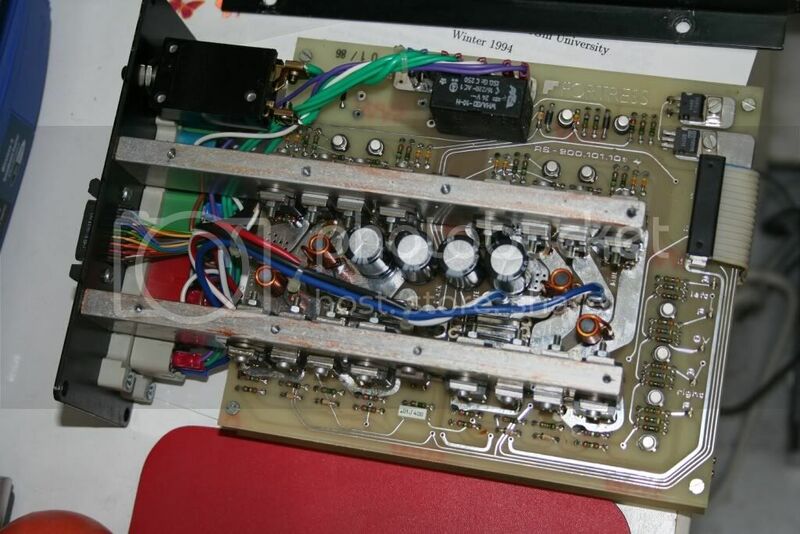 In the worst care I could build my own motor controller, but I'd much rather avoid this, as it could get hairy, and this controller is a nice piece of electronics (works like a power amplifier). The charger also poses me a slight problem. 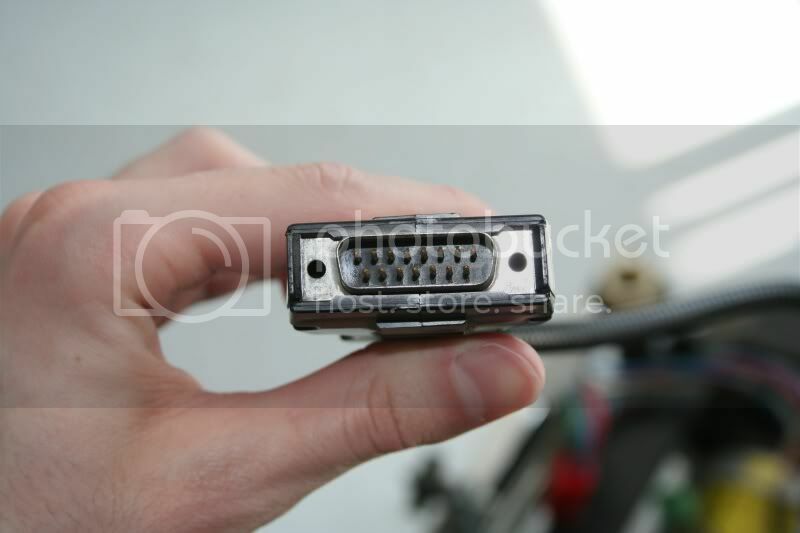 The connector socket on it was cut off. It has 3 wires coming off of it (white, black and green). The wheelchair base has a socket for the charger to plug-in with red, black and green wires, but I'm not sure if I can assume that the green goes with the red, or what's the easiest way to figure which pin connects to what internally. 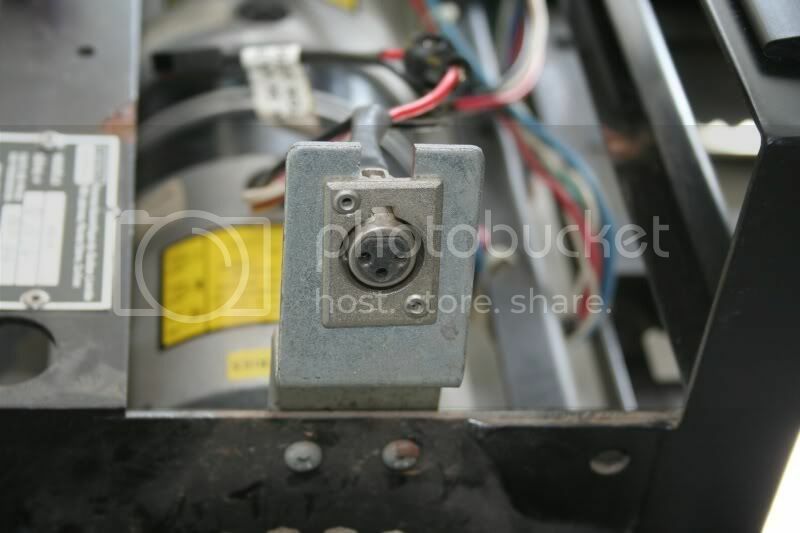 Try to power up the joystick and use a meter on the pins. Try using the chassis as ground at first. If the joystick isn't progressive (single pole for instance, no speed control), maybe it controls motor direction by a switch. I'm not sure if it's progressive or not... I opened the little joystick box and it seems to have only 9 wires going out.... Two of which are ground and power. Also only has one or two ICs in there, so it's likely the signals going out are pretty simple. Might not be too obvious how to do measurements on it though. I'll need to find a way to lift the back of the base so I can test the wheels and motors without having it crash into my furniture... But I kind of doubt the speed on it is fixed. I guess I'll know after I do some testing. Ideally though, what would be really nice is to have the pinout on the power amplifier's DB15 input plug. well, does the joystick move in fixed or progressive steps? if it moves in steps (like a commodore joystick, f.i., you're in luck). You could try taking the wheels off, or lifting them above ground if you want to experiment in a confined space. That's what I do..
That thing is pretty cool though. It has enough space to make your own freakin' microcontroller from transistors. Here's more pictures of the individual components, including the motor controller, the charger plug, and the joystick box. 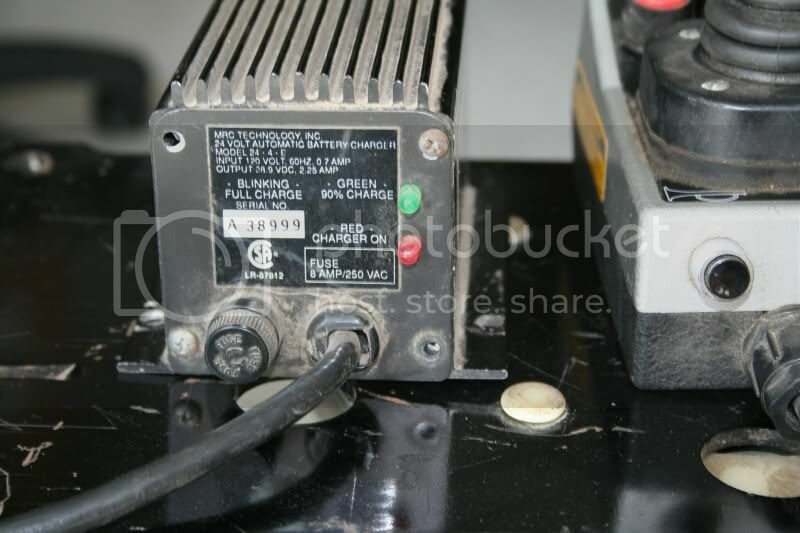 The motor controller says "Speed control box RS-100" on it. 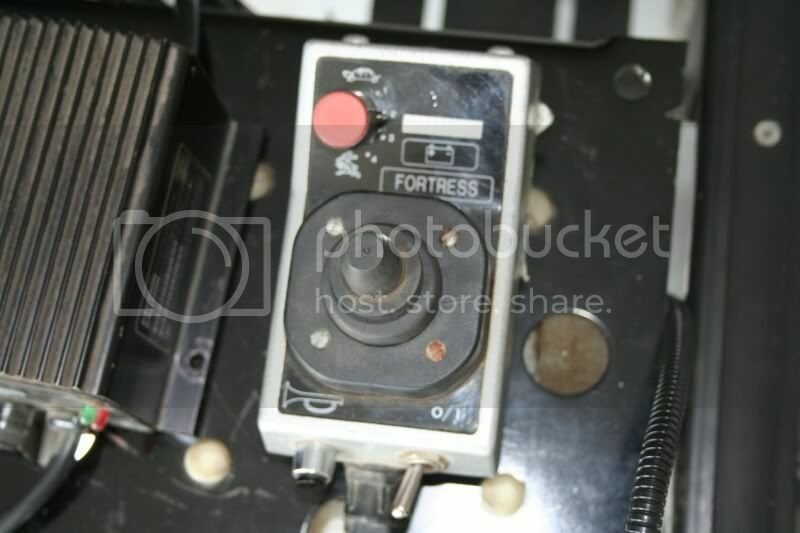 It's also made by Fortress... I wasn't able to find any specs on it either. 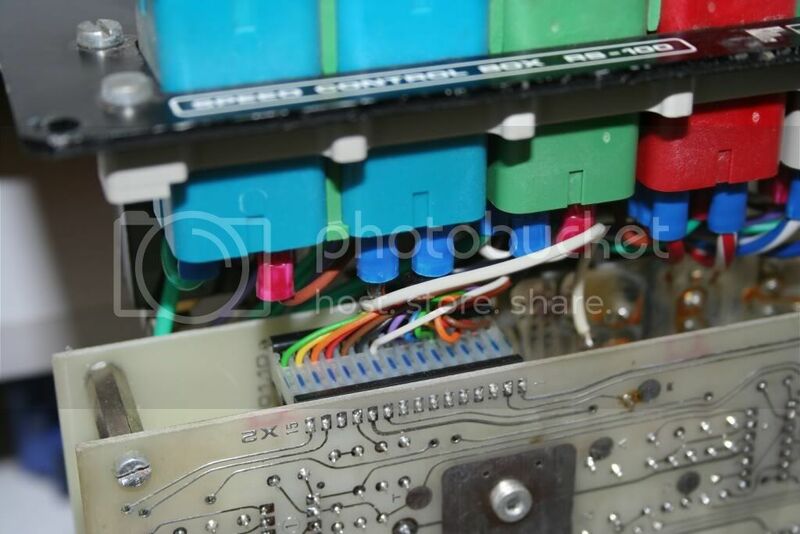 Close-up of some pins on the right side of the top board of the motor controller... I don't why there's 5 pins and not just 3, but I'm guessing whatever potential between left and 0V, or right and 0V might get amplified to power the motors? "...Fortress Scientific abandoned the USA market..."
The webpage also mentions a company called "Moving People.Net"
The webpage says they don't support the power chairs, and their website doesn't seem to have useful documentation... So it seems like reverse engineering will be my only option. 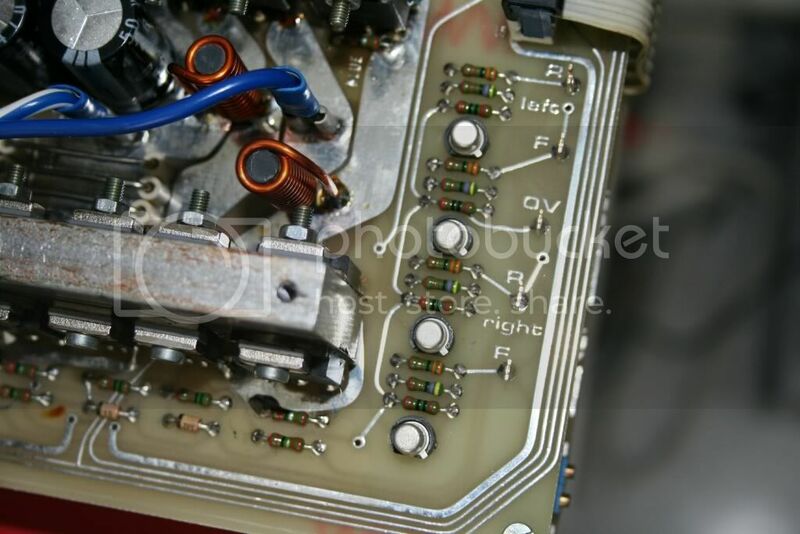 Once I get some kind of support to lift the back of the chair, and fix my charger, I will try testing pins inside the amplifier circuit, maybe applying a small potential to see what happens. 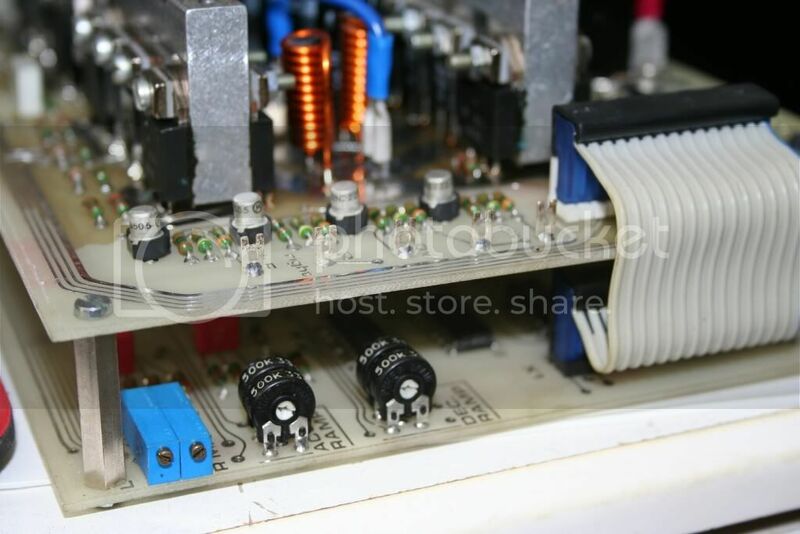 I do have a small motor controller that might be able to apply positive and negative potentials to both channels (this controller is controllable through a serial port). I might also test the pins from the joystick box and try to hack that if it's simpler... 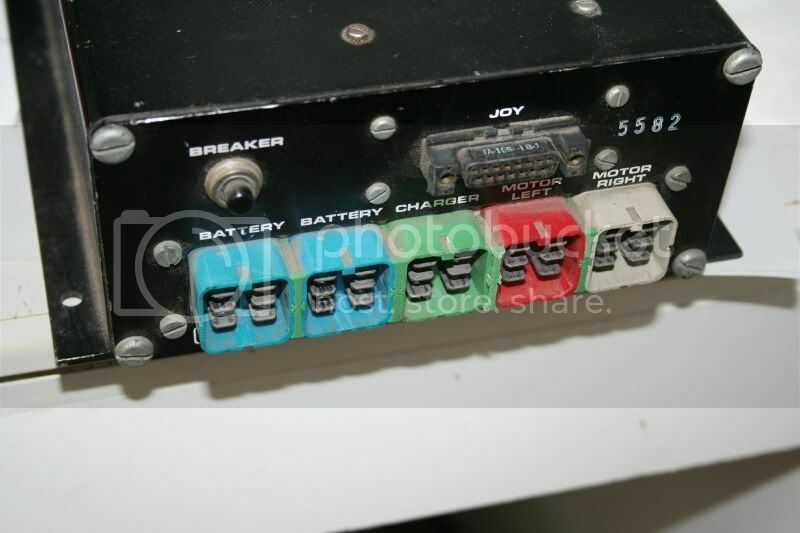 But I'm not sure how I'd tap into that, apart from perhaps using relays to connect resistors in there (the joystick has potentiometers inside, I believe). They're each rated 15A, 24V. I guess it should according to the specs... But it seems so small and weak! I'm also wondering... Can this controller drive each motor in two directions? Is it actually able to reverse the polarity? Should work. It does handle reverse, and includes regenerative circuitry that takes the "saved current" in your motors and sends it back to your batteries when you stop or reverse the motors for recharging. I would assume the gel batteries would be alright with this, but LiPo and lion batteries would have a major problem with the regen. I'm sure you could find most of what you need here. They deal in battle bots, so they have high Voltage and Current batteries and speed controls. But I suspect that 4 are in parallel for each motor for 4x the current. 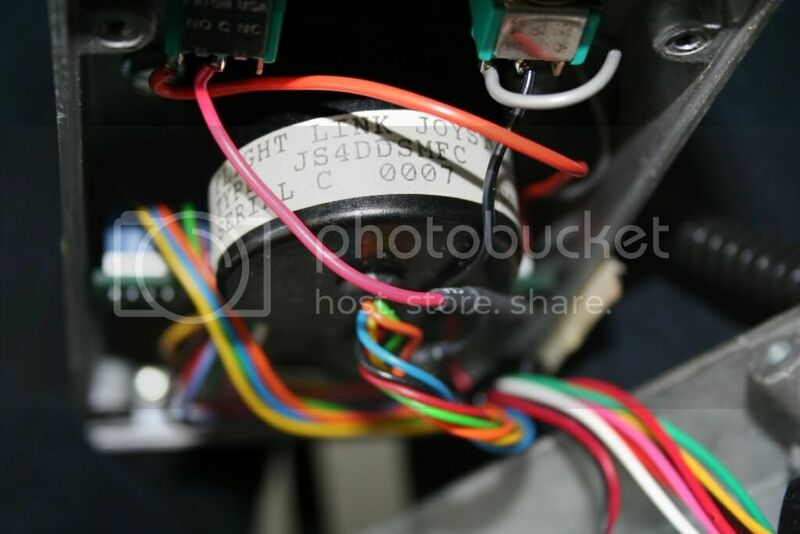 My recommendation is just spend money on a well documented motor driver. Its not worth the frustration to debug that thing . 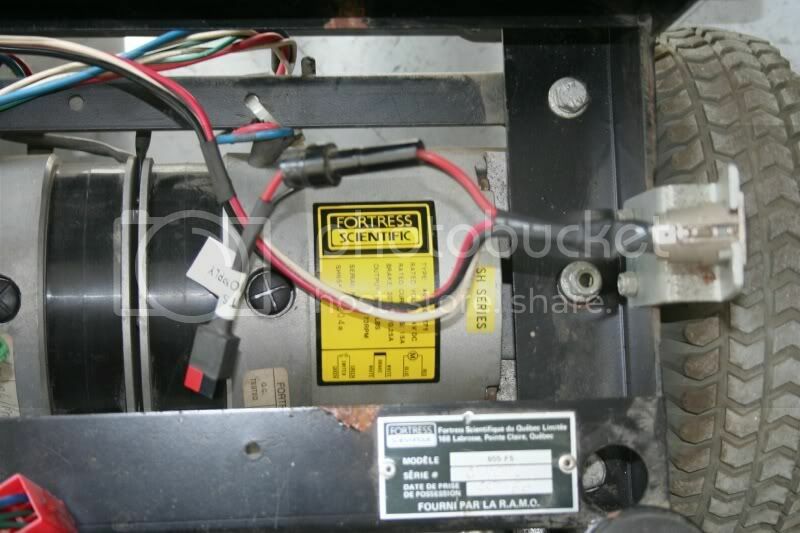 . .
You need to figure out the motor current draw: measure it or find a datasheet on them. I suspect your robot will be going fairly slow (based on the fact a fast moving robot that size is dangerous and has 'slow' sensors). So with that logic, you probably won't draw more than 10A per motor . . . I reached the same conclusion and just bought the dual 25A driver... I think I'd spend the price of that driver (or more) trying to interface the big controller thing anyways. I'll salvage the casing and the plugs on it (which connect to the batteries, charger and motors).